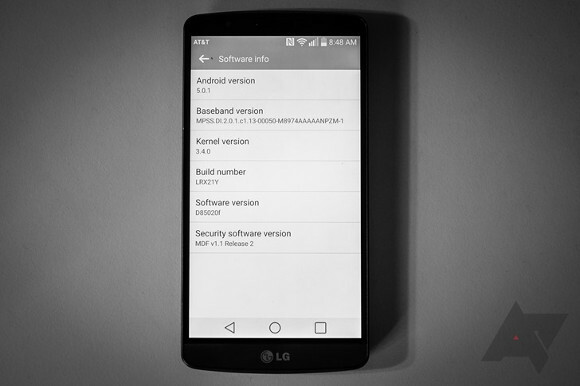 AT&T has started rolling out the update to Android 5.0 Lollipop for the LG G3 units that it's sold. This follows the rollout of the new software for G3 models from other parts of the world, which started last year. If you have an AT&T G3, it should soon notify you that an update is available to download and install, if it hasn't done so already. The file you need to grab comes in at around 690MB, and after performing the five-minute installation procedure your phone will be running Android 5.0.1, software version D85020f, build number LRX21Y. If you haven't received the update notification yet, you can always manually make the smartphone check for it by using the relevant part of the Settings menu.